You’ve probably noticed that a lot of electronics manufacturers offer refurbished versions of their products. If you, like many, think that’s like buying a used car, we’ll show you why you’re wrong. “Refurbished” sounds like a dirty word to a lot of technophiles, but given the savings and hidden advantages, it’s time to change your thinking. There’s a difference between refurbished and used. Used means a product has been used for a significant amount of time by the previous owner. If they took care of it, you’ll get a significant discount on a product in reasonable condition, but they’re sold as-is, meaning, if the hard drive fails after a couple of months, you either have to fix it or write it off. Even if they’re “fixed up,” they’re still used. A refurbished unit is one that was returned to the manufacturer or seller for some reason. They can no longer sell the unit as new, so they fix whatever was wrong (which isn’t always a defect) and sell it as refurbished. There are several reasons a product could be sold as refurbished. You do have to be careful buying refurbished electronics. But there are several benefits to these, even over new. Firstly, they’re between 15 and 30 percent cheaper than a brand new counterpart. That’s a savings of $150 to $300 on an item that’s normally $1,000. While that may not sound like much, consider what you could spend the money on otherwise (for example, those cute kitten heels you’ve been eyeing). The additional savings could even be enough to allow you to get a more sophisticated model than you’d normally be able to afford. Also, products refurbished as part of a reputable program are usually less likely to have any damage or defects. Not only has the damaged part been replaced, but all other parts have been tested yet again. Not all refurbishment programs are created equal. 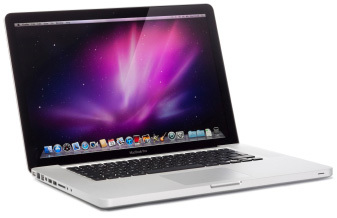 Apple and Dell (among others) have received rave reviews for their refurbished electronics. When buying refurbished, look for programs with these qualities. Full disclosure — A company that has quality standards will have no problem telling you what they are. Certified — Refurbished products that are certified by the original manufacturer are more likely to meet stringent quality standards. Warranty/Extended service agreement — A good refurbishment program has at least a 90-day manufacturer warranty on the product. Better ones have a full year. Those that offer you the option of purchasing extended service agreements (beyond the automatic warranty) show they stand behind their refurbishment process. Return policy — The warranty is good, but sometimes you just change your mind. Policies of two weeks and 30 days are pretty standard, though some go as long as 90 days. Everything else — The first thing to do when you get your refurbished product home is check to make sure it has everything the new model was supposed to come with unless otherwise disclaimed. Don’t be alarmed if it comes with a newer version, so long as it’s compatible. What are your experiences with buying refurbished? Sound off in the comments below.